As a professional trainer since 2001, I have helped improve the relationships between thousands of dogs and their humans. By teaching you how to effectively communicate with your dog and understand the responses they give, you will share a greatly improved relationship and understanding of how to eliminate their unwanted behaviors. 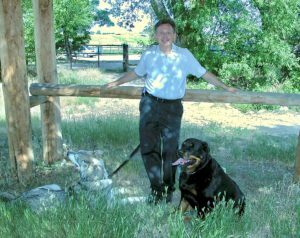 As the former National Training and Franchise Support Manager for the US office of an international dog training franchise, I helped instruct and train over 200 dog trainers in the United States. I also developed the Advanced Training Program and Master’s Training Classes to raise the skill and education levels of the trainers enrolled. For further information about how you can find help for your dogs, call Pete at 720-448-3689 or email Bettermannersdogs@icloud.com. Are you annoyed, irritated, frustrated, angry, or even desperate when dealing with your dog’s inappropriate embarrassing or even destructive behaviors? Don’t worry any longer; you have come to the right place: Better Manners Home Dog Training. 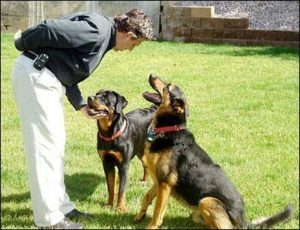 Dog behavioral concerns like excessive barking, jumping up, aggression to people and other dogs, digging, marking, chewing, sibling rivalry and separation anxiety are only a few of the behavioral issues that we, as dog trainers and behavioral therapists, can help you begin to conquer in the first few hours of us working together. With a foundation in social psychology, relationship based training derives from the theories of symbolic interactionism. Utilizing patterns of communication, interpretation and adjustment between dogs and their trainers to help define the roles each plays in the social dynamic that is the human-canine household. Relationship based training relies on the understanding between trainer and subject that the trainer be seen as the authority figure in the relationship. Building on a positive relationship between them, the method sets out to achieve results that benefit both the dog and the trainer, while at the same time enhancing and strengthening their relationship. The basic principles include ensuring that the dog’s basic needs have been met before beginning a training session, finding out what motivates the dog and using it to elicit behaviors, interpreting the dog’s body language to improve communication between dog and trainer, using positive reinforcement to encourage desired behavior, training incompatible behaviors to replace unwanted behaviors, and controlling the dog’s environment to limit the possibility of unwanted behaviors. Once the human is seen as the authority in the relationship, they will have earned the ability to identify and eliminate unwanted behaviors without jeopardizing the relationship or the need for painful stimuli. A relationship-based approach to dog training is not reliant on using particular training aids or treats, the relationship is always there, and the connection between dog and trainer is sufficiently powerful to achieve the training goals. Better Manners training methods are force and pain-free, and are designed to address your dog’s temperament and your goals for training. Each one of our lesson plans is written with your participation and objectives in mind. No “one size fits all” here! Our individualized approach is the best system for re-training “problem” dogs or for starting your puppy out on the right track. We will teach you a method of communication that your dog already understands, based on canine communication, body language, and the relationship dynamics within your household. You will learn how to use your body language and vocal communication to get your dog to focus on you and respond to your direction based on a relationship of mutual trust and respect. You will learn how to educate your dog on what behaviors are acceptable and which are not. Our methods are designed to enhance the emotional humane canine relationship developing a healthy balance of mutual trust, respect, and that loving connection we are all looking for with our canine companions. We assess your personal situation and will custom design our dog obedience training to allow you to become the authority in your relationship with your dog. Your dog’s perception of you as the authority in your household will earn you the respect and trust to allow you to modify your dog’s behaviors in a manner that suits you. You decide what your rules for your dogs and household will be. Want your dogs to stay off the furniture… no problem. Want them to cuddle with you on the sofa….no problem, your house your rules!